In the event you aren’t familiar with Telltale games, their bread and butter comes from episodes that you watch and interact with in key moments that will impact the overall story. In some ways, they make more point-and-click adventures than what one would consider a typical video game. Whether you’re playing their take on The Walking Dead, or Back to the Future, you’ll be put in difficult situations that are no wins. This amps up the stakes, but sometimes the pathos that comes from the choices is earned, other times … it can feel like a parlor trick that only serves the purpose of moving some story along. The latter is where Guardian’s of the Galaxy is kind of stuck. On one hand, the game features awesome music and a fairly interesting story. It becomes problematic though when it has to be a video game. Throughout the first volume, all of a sudden I’d be faced with a decision, but at no point did it really feel like I was impacting the story in a meaningful way that would make sense. Often, I’d choose a decision and wonder what possible difference another action could have made. The stakes are supposed to be high at times, but honestly, the game could chill and let us appreciate being part of the awesome Guardians team. The story itself is fun. It starts off with the Guardians killing someone HUGE. I won’t spoil it because it’s part of the fun. From there, the big decision is who you’ll deliver the body to – the shady Collector, or the upstanding Nova Corps. Along the way, you’ll talk to your team about things that have little importance, until reaching a pretty big ending in which a character stares down death and a collected artifact is shown to be more than originally thought. I know … I forgot to mention the artifact, but it’s kind of a weak mystery at the moment. Playing, you’ll know it will become a bigger plot device in volumes to come, but how so is underwhelming unclear. Lastly, playing on Xbox One, the game stuttered more than once and even froze at one point. This simply isn’t a game that should do these things. It’s not taxing technology in ways that AAA games are. Should you play it? I believe episode 1 may be free on some platforms. The hope is that you’ll sign up for the $20 season pass. I’m mildly eager to see where the story goes, but the ending certainly didn’t wow me. Still, I’m a fan of Telltale and want to support their work. 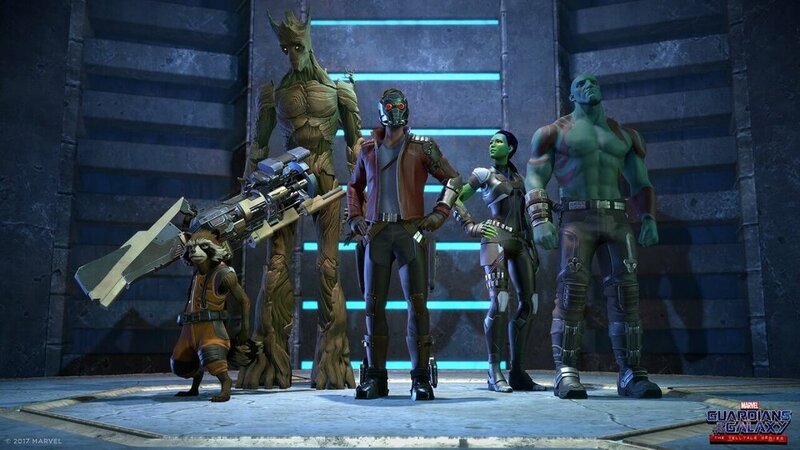 In addition, the Guardians of the Galaxy are a fun group of characters that I want to see more of, I just hope episode one was a warmup act. Previous Post Rick and Morty: Lil Poopy Superstar – The graphic novel review!